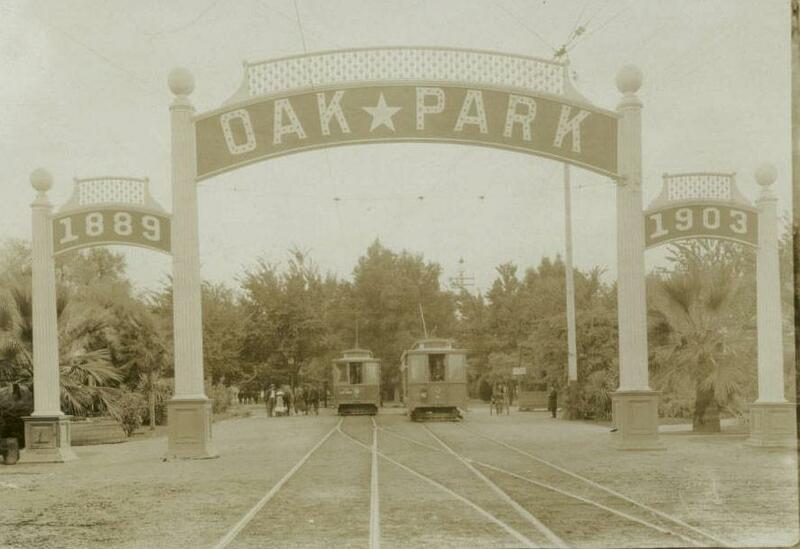 Oak Park was Sacramento’s first suburb, sub-divided and developed in 1887—by the 1910s it was connected directly to Downtown Sacramento by multiple streetcars and attracted the California State Fairgrounds. It became a destination neighborhood by boasting “no city taxes” and had a thriving social scene at the titular park on 8th and Sacramento Boulevard. In 1913, according to Sacramento Union archives, the city appointed a young Miss Doris Clark to become its Student Assistant of Parks, at a pay rate of $510 a year. Scouring the online archives of the Sacramento Union, a defunct local newspaper, shows as many posts about her social activities as it has regarding her successes on the pitch. For the first few years as a Parks Assistant, she oversaw archery events, hiking, track and field, as well as helping to set up popular outdoor music events in Oak Park. Miss Doris Clark even participated in these events from time to time as a member of a quartet. It seems that by late 1915 or early 1916 she had earned herself a promotion and moved north three miles to McKinley Park on the corner of Alhambra and McKinley Boulevards. 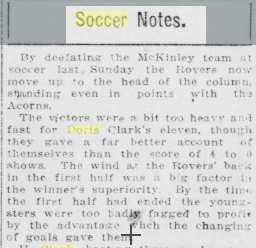 While there are several notes and articles to share from the Sacramento Union’s archives regarding Miss Clark, it’s important to note that Stewart and Stoumbos’ assertion Clark took up the position in 1920 is incorrect—she resigned in 1919 after six years working between Oak and McKinley Parks. There’s no reason given, but the last piece I can find speaking to Doris’ activities says she “has tended her resignation to superintendent George Kim, to take effect July 20 (1919). Miss Clark has been very active in her work and was manager of the winning soccer team there last season. Before going to McKinley Park she served at Oak Park Playground.” Judging from her vacations spent in the outdoors and her success at throwing events at the parks, I can only venture to guess that she moved on to a similar parks position somewhere else; perhaps someday we’ll find an ending more befitting the first USSF sanctioned woman manager.